I still have the book. It’s in good shape considering 50 years of use. Today would have been Sagan’s 81st birthday. So, I am sharing some of my favourite Saganisms. In the meme at the top of this page, you can read “It is far better to grasp the universe as it really is than to persist in delusion, however satisfying and reassuring.” But alas, to have the wisdom to shake delusion is beyond the power of most of us. But we should try, shouldn’t we? 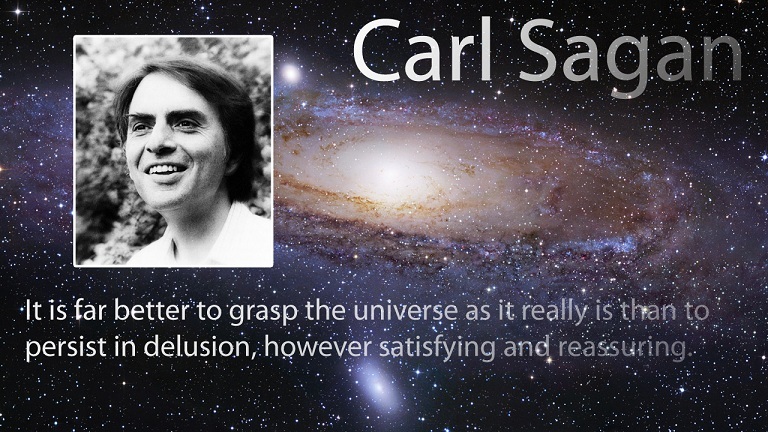 Acknowledging the power of seductive delusion, I am well aware of some of the faults attributed to Dr Sagan. He was a childhood hero, but not a childhood god. Even today I sometimes squirm a little when I see an old clip of Carl Sagan and he seems to exaggerate the letter ‘b’ in the word millions. Or maybe he really meant billions and billions. But you catch my point, I hope. In the role of America’s greatest promoter of science in the 60s, 70s, and 80s, he occasionally had to suffer self-parody. But it was worth that price when we remember the people whom he led towards rationality through his enthusiasm for science. I also like to remember this line from The Demon-Haunted World: Science as a Candle in the Dark – written by Carl Sagan and his wife Ann Druyan: “One of our grandmothers learned to read because her father, a subsistence farmer, traded a sack of onions to an itinerant teacher. She read for the next hundred years.” That’s a wonderful testimony on the power and love of learning and knowledge. 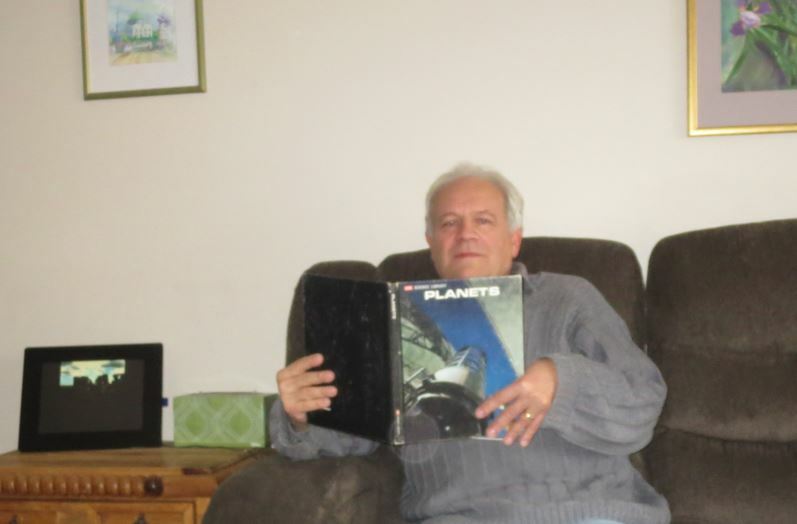 By the way, resting on my deck here in Calgary is my 8-inch Celestron. We named it Carl. 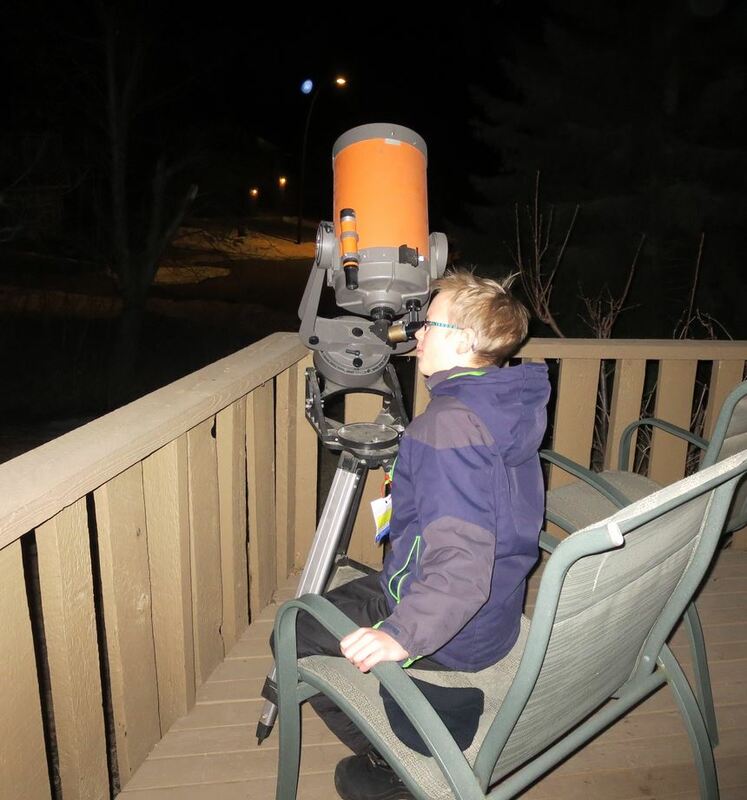 My son, Daniel, hanging out with Carl, the telescope. This entry was posted in Culture, People, Philosophy and tagged Carl Sagan, Planets, science quotes, stardust. Bookmark the permalink.